The brief called for a series of interconnected offices and multifunctional rooms, to service the church staff and community. Importantly, it specifically required a space that would be easily adaptable and future-proof, for a growing congregation. 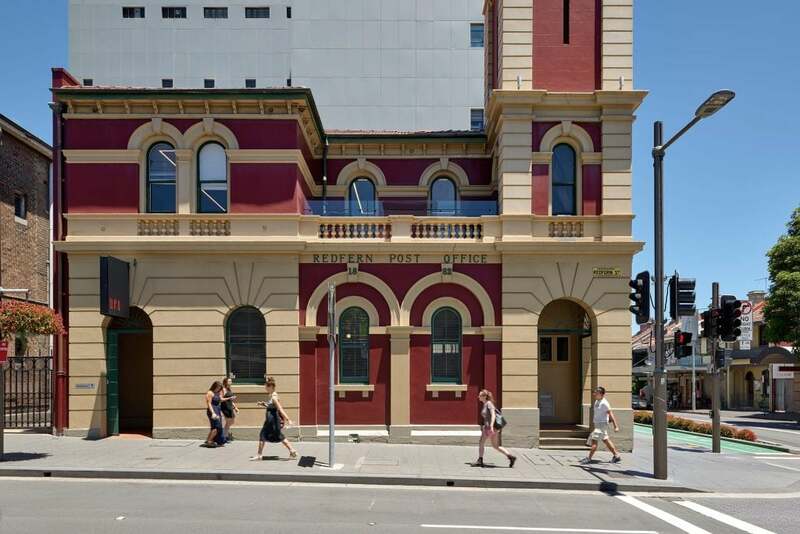 DKO engaged by the Melbourne Welsh Church to design an office space in the new commercial tower adjacent to their existing 1871 gothic revival church. The brief called for a series of interconnected offices and multifunctional rooms, to service the church staff and community. Importantly, it specifically required a space that would be easily adaptable and future-proof, for a growing congregation. DKO’a first design decision was to maximise views of their beloved gothic building, whose church architecture also directly contributed to the resolution of this workplace interior design. 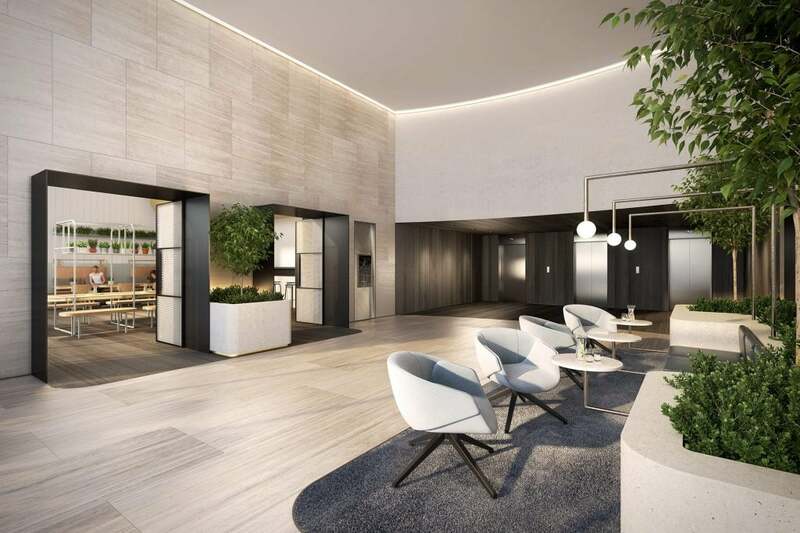 Light grey render on columns and walls reference the Church’s exterior, dark porcelain floor tiles echo the bluestone paving outside, and black metal detailing pay homage to the contemporary tower, in which the new office sits. 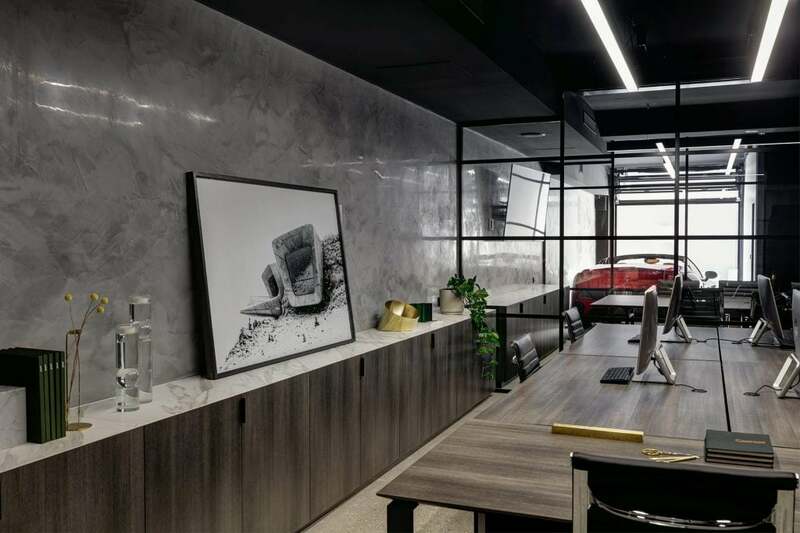 Without a doubt however, the dominant material in this office fit-out, is the feature oak that extends from floor to ceiling, enveloping the user in a warm materiality that contrasts with the grey and black of the surrounding spaces. Frit detailing on glazing references the symbols of the church and provides additional privacy, without compromising the presence of natural light. A new connecting bridge that links the old and new adds drama, bringing the city into the office while offering a controlled exposure of the office, to the city beyond.